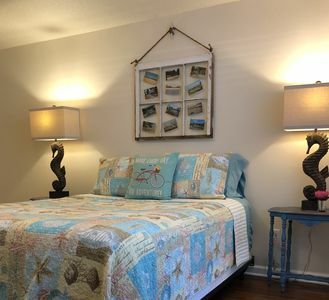 Let your worries drift away and enjoy this 2-bedroom, 1-bath Gulfport vacation rental house that’s walking distance from the beach and the Gulf of Mexico! 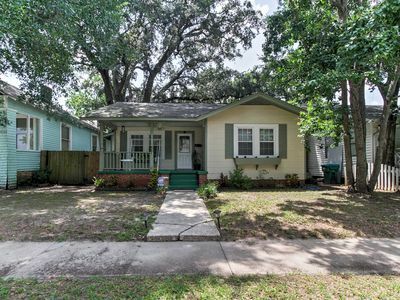 This home has everything 5 lucky guests would ever need, including a beautiful fenced in backyard, well-equipped kitchen, electric grill, and a gorgeous outdoor dining area. 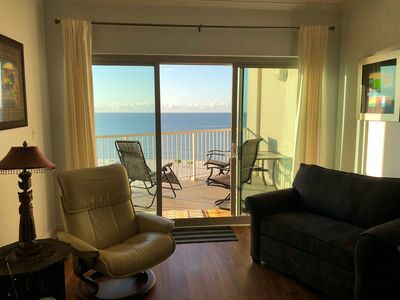 Whether you’re interested in relaxing on the beach, trying your lucky hand at the casino or enjoying fresh, local seafood, you’ll be able to do it all while staying here! 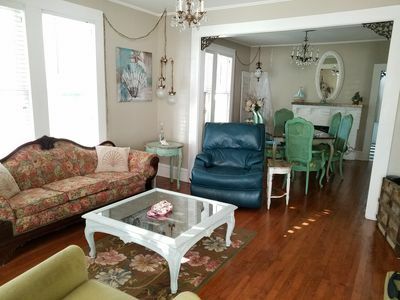 Walk into this quaint Mississippi vacation rental property, situated just minutes from the white sandy beaches of Gulfport, and enjoy the vibrant colors that create the ultimate beach house feel! 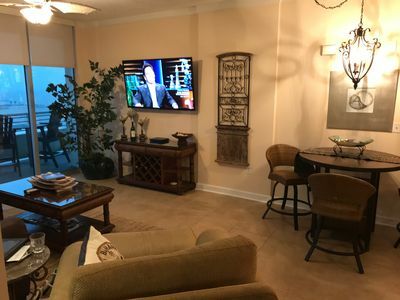 Greeted by the living room, you’ll find a cozy 2-seater couch, an ottoman that converts to a twin bed for additional sleeping, and a flat-screen Satellite TV. 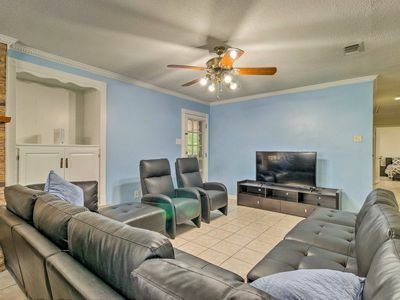 Spend your time enjoying a movie or conversing with your guests. 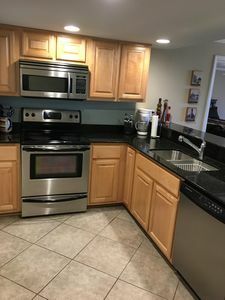 Wake up early and be the hero of everyone's morning by cooking breakfast in the well-equipped kitchen that features a 4-burner electric stovetop, cooking utensils, oven, Keurig coffee maker, dishwasher, microwave, and charming 2-person breakfast bar. 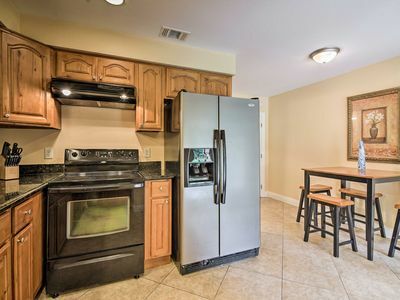 The dining room is right next to the kitchen and offers a 4-person dining table for your more formal meals. 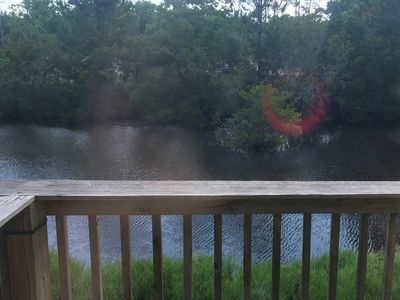 Looking for some fresh air? 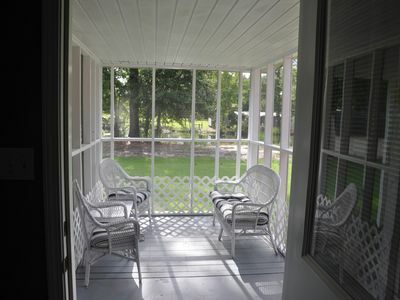 Guests love enjoying a good book or an afternoon cocktail on the back deck of the property while watching the Mississippi sunset. 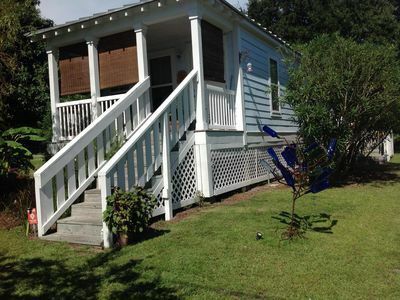 The backyard is outfitted with comfortable outdoor furniture and is shaded by beautiful, aged oak trees. When you're ready to unwind for the evening, head inside to one of 2 comfortably furnished bedrooms and slip into a deep sleep on the cloud-like queen mattresses! 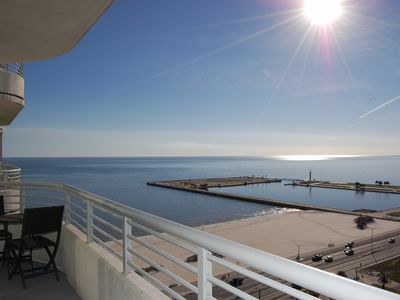 Picturesque beaches are one of the main attractions of Gulfport, and this home is situated just 2 blocks away. 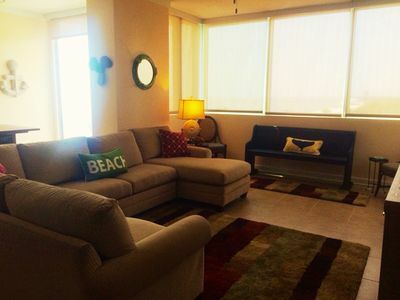 Spend your days sunbathing or body surfing, before heading over to the casino, which is only 1 block from the house. Explore the delicious, local eateries on the nights that you aren't cooking at home. 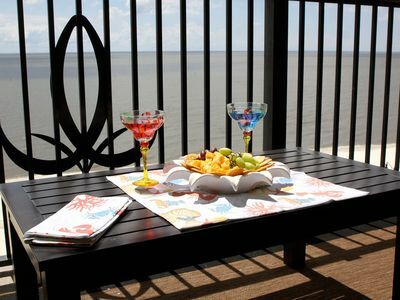 Half Shell Oyster House is a short 11 minute walk away and offers unbeatable seafood. For more special occasions, head over to The Rackhouse Steaks & Spirits and indulge on juicy cuts. 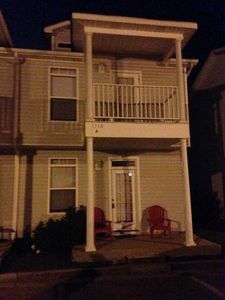 The house is located within driving distance of multiple golf courses for any golfers staying at the property. 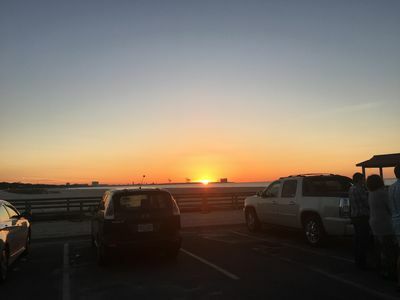 Great Southern Golf Club is a 12-minute drive away and offers an unbeatable view of the Gulf to enjoy while you get a round in! 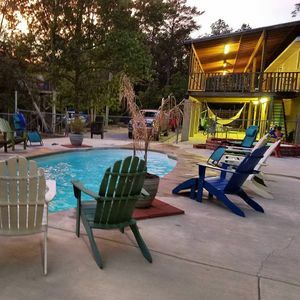 - Amenities include a well-equipped kitchen, air-conditioning, large deck, 3 flat-screen Satellite TVs, gas grill, crock pot, outdoor dining area, state of the art security system, free WiFi, in-unit laundry machines, and much more! 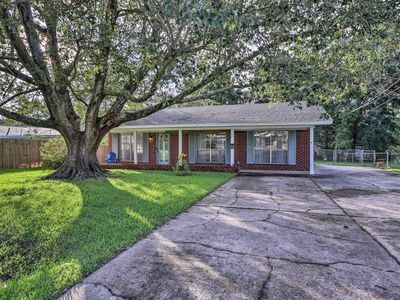 - Fantastic Gulfport location only 2 blocks from the beach - 10-minutes walking distance from the central village, Walmart, Memorial Hospital at Gulfport, rafting, museums, hiking, boating, nightlife, golf, playground, local restaurants, and cafes! BOOK YOUR SPRING AND SUMMER DATES NOW! 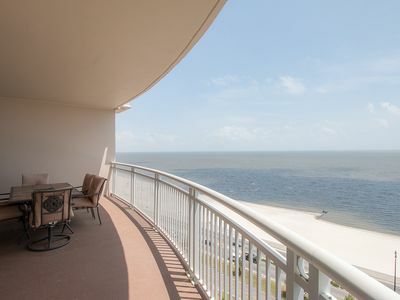 Best Value on the Gulf Coast! 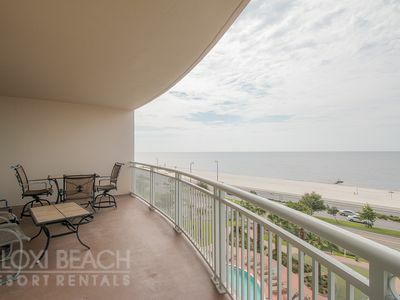 Gulfport Condo w/Balcony - 5 Minute Walk to Beach! 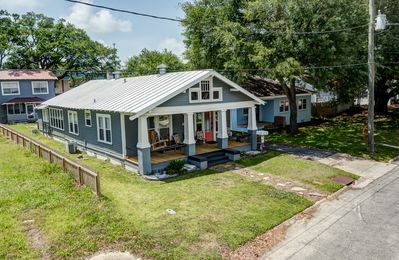 Eclectic cottage near the beach!